With Absa gearing up to ‘relaunch’ with a new look and corporate identity next week, pending trademark registrations with the Companies and Intellectual Property Commission have revealed what the group’s new logo could look like. Following Barclays’ exit from the African and South African market, Absa – which was officially called Barclays Africa – announced that it would adopt Absa as its official named across all its operations. This marks a big change for the bank, which will once again become a wholly African financial group and will be led in with a ‘relaunch’ of sorts, showcasing new branding across the group. The bank has remained tight-lipped about its new look – planning to unveil it at an event next week – but did publish a small teaser of the direction it is going in. While much speculation has been floated about the brand turning orange, the group’s teaser, as well as the colour scheme now adorning its offices in Johannesburg, show that several hues of red (bordering orange and including pink) will still feature in the new corporate identity. 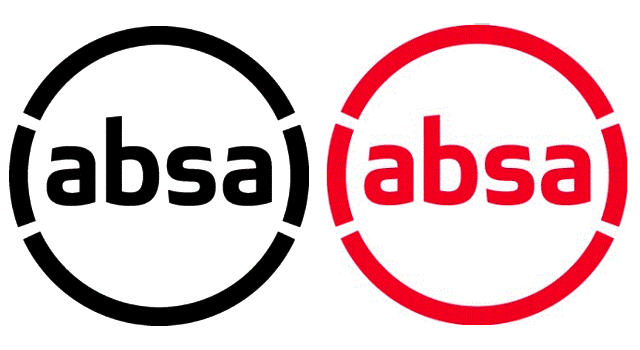 This has been further corroborated by Absa’s trademark applications for its new logo, which are done in red and black. In the application for the red logo, the trademark specifies that “the mark is limited to the colour red substantially as shown”. Responding to queries about the logo, Absa would not confirm or deny that this was the new logo, saying only that it has noted the CIPC documents, adding that it has made no secret that changes were coming. “We’ve noted the document on the CIPC site. We’ve made no secret about the fact that we will launch our full new visual identity on 11 July when we will also change our group name from Barclays Africa Group to Absa Group. “Please look out for the full details on that date,” it said.